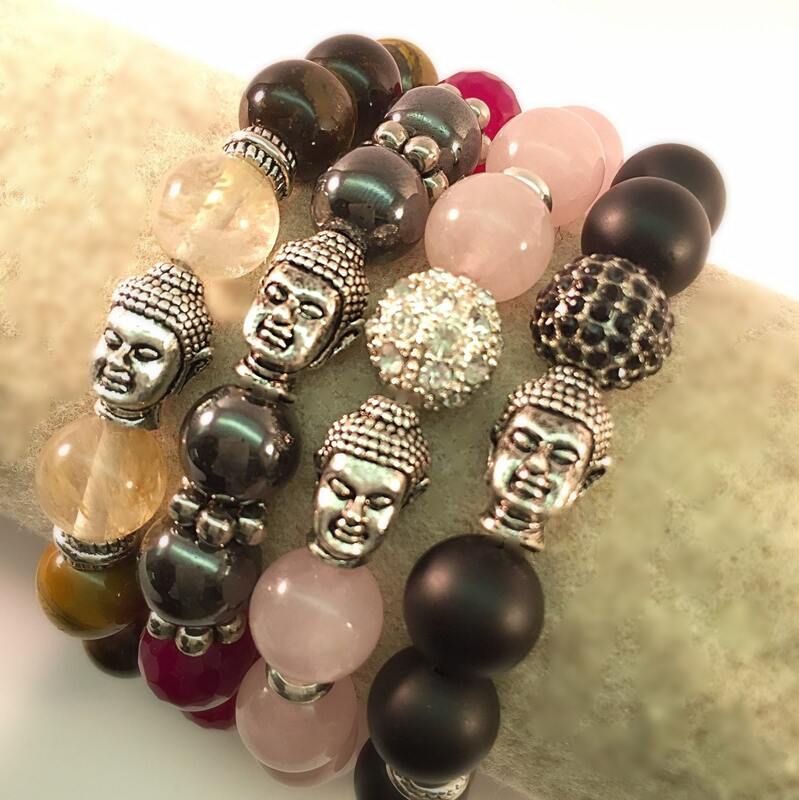 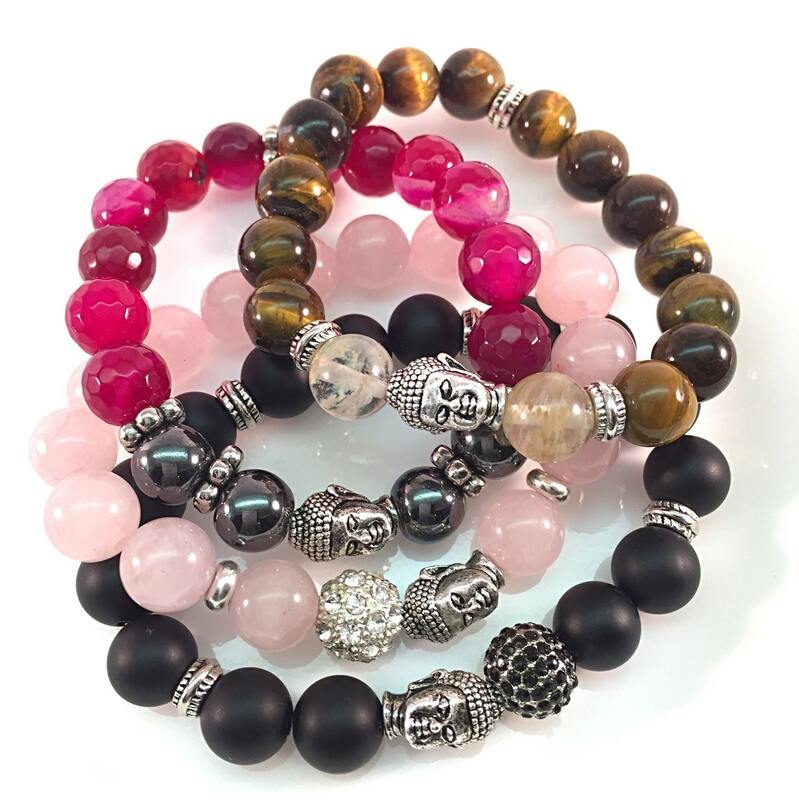 Mystic Designs: Enhanced with metal beads that embody their individual symbolic significance. 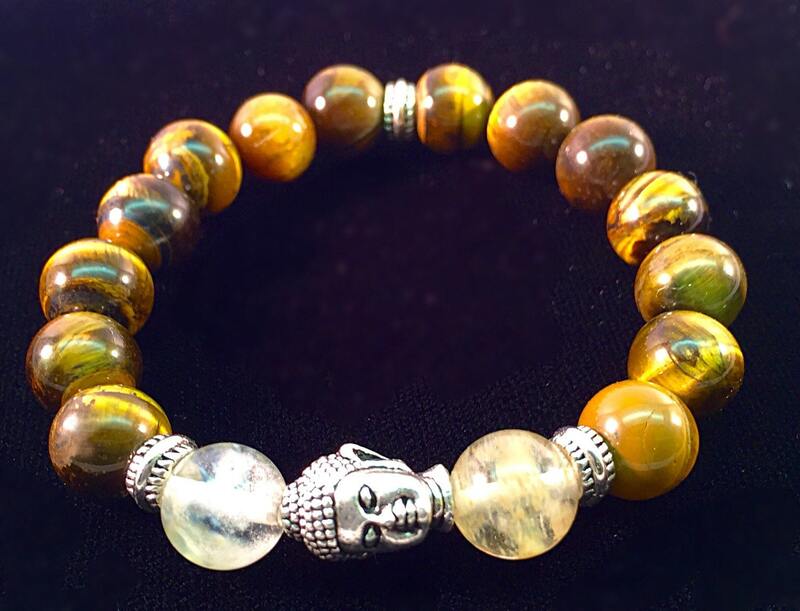 Dragons, Skulls, Buddha, and more things enchanting and powerful. 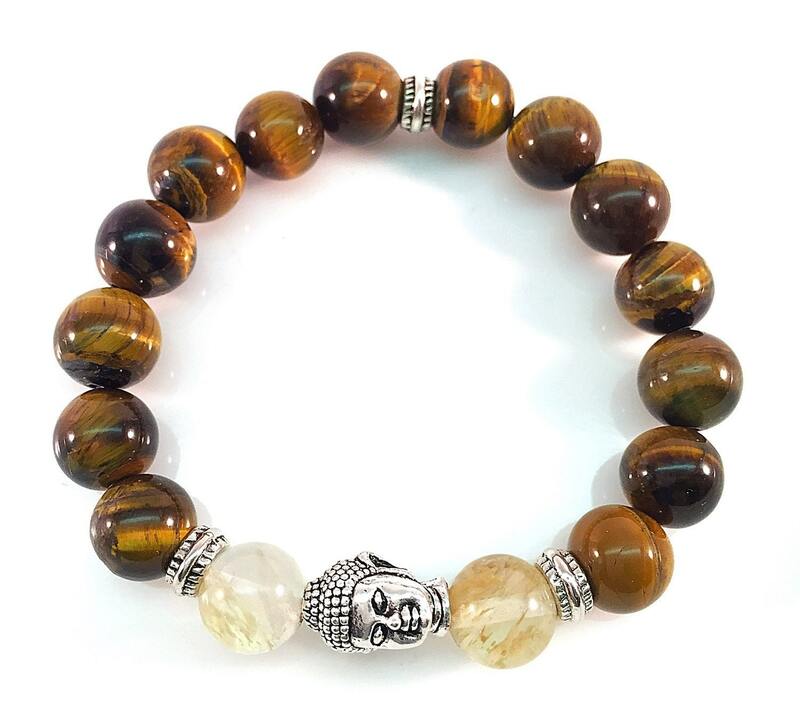 Made with; 10mm polished Tiger Eye beads with one 8mm Pewter Buddha and two 10mm rutiled Smokey Quartz beads.